Coming from a galaxy far, far away, just in time for your galactic party! Hop on board our Star Wars bounce house and go on a ride you will never forget. 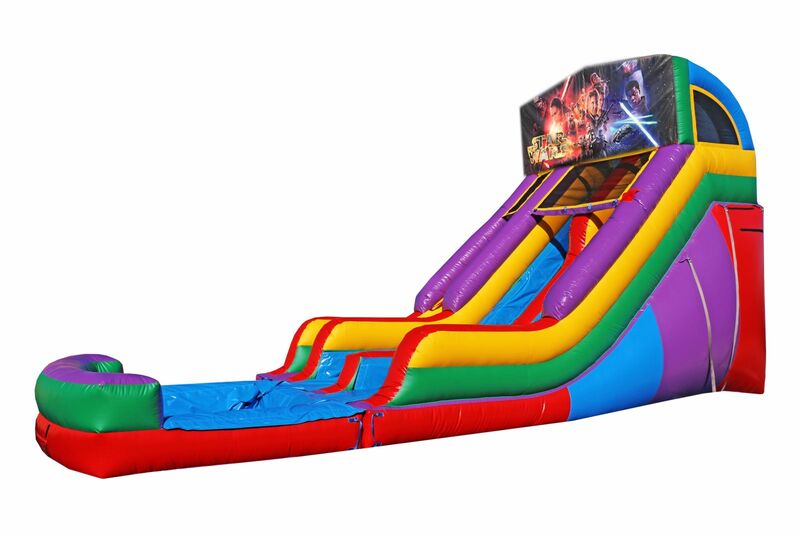 This Star Wars bounce house features a never-before-seen galactic fighter jet design that will take you to the other side of the universe and back! 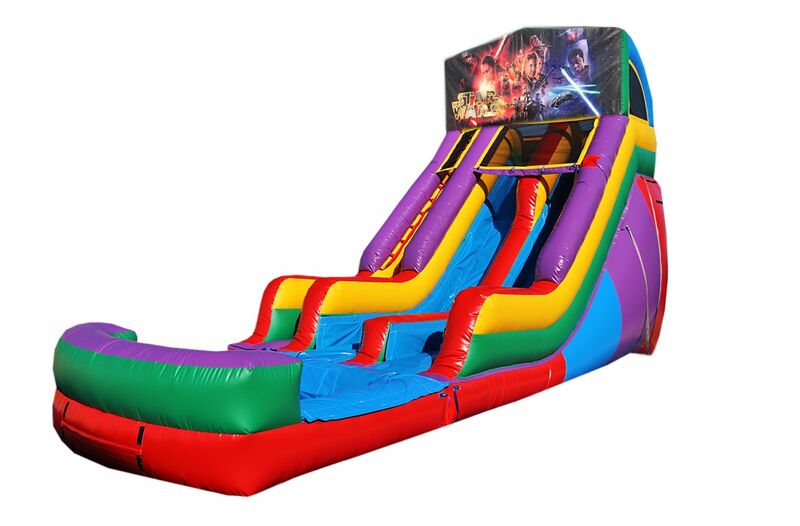 Great for galactic, Sci-Fi, or Star Wars themed parties and events. This impressive double lane water slide is a dual water slide guaranteed to add tons of excitement and acceleration to any outdoor event. Great for promoting friendly competition or group challenges, kids can climb together up the left side climb, and then choose a left- or right-sided slide, for a fast-track ride to the cushioned bottom with a safety stop. Hooded safety on top makes sure riders slide down properly. The bright and colorful red-purple-yellow-green and blue fits into any décor, and is sure to attract guests for a thrill-filling day, and keep the kids sliding!